In the book of Daniel which is located in the old testament of the Bible, there emerges a story of a king who had come upon a wall that had been scribed by mysterious hands. He(King Belshazzar) who was king of Babylon, which is modern day Iraq, could not interpret the writing and what it meant. None of his men could either. It took the talent of Daniel, who was able to interpret dreams and other things. He had a gift from God. So Daniel told the King what the writing on the wall meant. The scribed words were a warning from God to the king that he had not honored God or his father in his behavior. And that he and his people worshiped gold and silver amongst other things. And that he would be killed and his lands split up. Of course this didn't sit well with the king or his people. 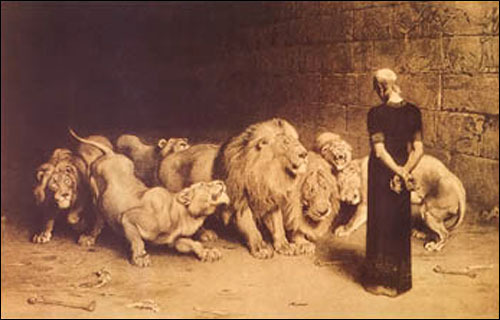 Daniel was thrown into the lions den for it (another story). However, all of the things that were written on the wall did come to fruition. Thus, the saying, which has been passed down through the years. The writing is on the wall.